Congratulations on setting the date!!! You must need a wedding photographer. Choosing the right professionals for your wedding day can be very difficult. Take a look at my current work and pricing to see if we have the right type of coverage for you. If that all checks out and you are still interested please give me a call or shoot me an email to see if we are available on your day. If things are still good after that, we will set up a meeting to discuss all the details for your wedding day. We are based in the Rockford/Roscoe area and we cover most of Northern Illinois & Southern Wisconsin. I look forward to hearing from you so we can capture all the moments of your special day. -9 hours of photography coverage with myself and an assistant photographer capturing all the details. We start with you getting ready and end with you dancing through the night. You may always add more coverage or reduce coverage to fit your needs. -An engagement session is included. I want to build a relationship with you in front of the camera to insure the best images for your wedding day. -You will receive a thumb drive of your edited images with print release to share, print and enjoy with no restrictions. "I would like you to photograph my wedding, how do we start the process?" Send me an email or call. Lets check your date to see if I'm available. If you are from the area I would like to meet with you in person. Once we meet and you decide I'm the photographer for you, I will have you sign a contract and return with your deposit. After that, you can check "find a photographer" of your to-do list. "How much do I need to deposit?" I require a $800 deposit and contract to hold your wedding day. Payments are welcome and all should be paid one week prior to your wedding. "How far should we book in advance?" Best to book 6-12 months ahead. Once you have your date and venue established, feel free to contact me. If you are running way behind, no worries, check my availability. I might just have your day free. "What area do you cover?" I live in Rockford, IL and cover a 50 mile radius to Rockford. If you are unsure, please contact me to verify I will be able to cover your wedding day. "Who will be the photographer at my wedding?" Here at Michael Steede Photographics we do not substitute the lead photographer. 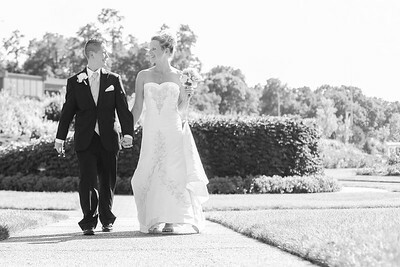 Michael will always be lead on your special day and have a qualified assistant right along side him. "What type of gear do you use?" I use high end Nikon equipment. I carry 2 Nikon D750's with me and shoot mainly prime lenses on both. I will use both all day long. Yes we do. Every image we deliver is produced with our unique style of post production. This involves color correction, exposure adjustment, selective black and white processing, clarity adjustments, and other corrections.